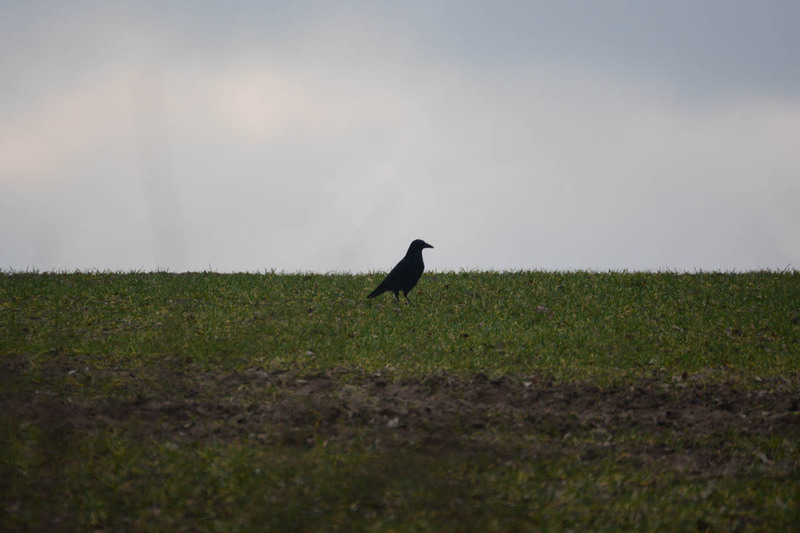 A photo of a lonely crow on a field. While the photo is not extremely special, I do however like minimalist photos with not too much things going on in the image. I shot the photo during a hike through a small forest, and outside of the forest was the field you see in the picture. I saw that crow and decided to take a photo at 300mm, which is why it somehow looks compressed. But as said, I like that. I hope you too. There are more photos of birds on my blog. It’s a good picture. Maybe try lightening it a bit, at least near the crow. I like minimalist pictures too. I actually liked it that dark, it was shot during autumn and presents our Northern German darker days pretty well 🙂 I liked the mood of it. This was one of my earlier JPG shots and I think the crow didn’t have a lot of detail anyway that far away. I sometimes like these muddy photos during darker seasons, and brightening can really make that look disappear. 🙂 Maybe the crow needed some “alone time”. 🙂 You are welcome, Dennis!